On a bright June morning, somewhere in Spain, I set out from a hotel with three friends. 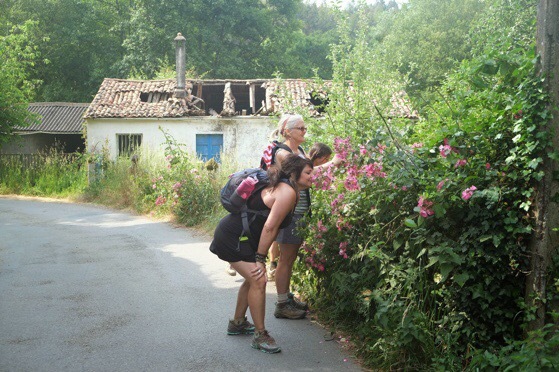 We followed the vague instructions of our host and wandered the streets of Sarria in search of a well worn trail. After spying a couple of bikers with seashells, we picked up our pace and walked more confidently down the road. We turned around to see an enthusiastic woman waving her hands and calling out to us. “Si! Si!” we all shouted one of the only Spanish words we knew. She pointed the opposite direction at yellow arrows across the road. This year is their first season to be open and she told us how a priest had come and blessed their Albergue. Someone had a guitar and several groups of pilgrims had filled the house with singing. We all nodded and ahummed our gratitude. Yes we would do just that. Live The Way. To say that we took Marcella’s advice would be understatement. We spoke her words back to each other all week long. Some days we stopped so much that I am a little surprised we made it to our lodging every night. We stopped to smell roses, to photograph windows and doors, to meet new friends, to try new foods, to shop at roadside stands, to say prayers inside of chapels and churches and of course, to rest. One day we hope to return to Marcela’s Albergue and tell her that she gave us our theme for the week. Live The Way. 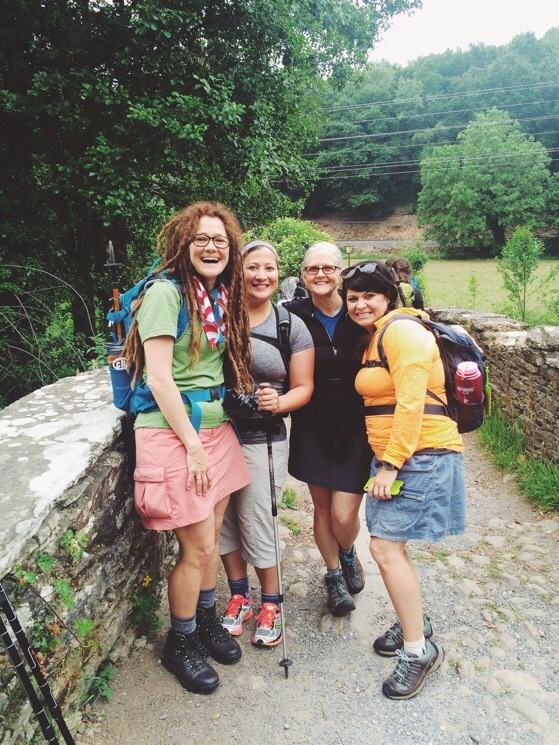 If you enjoyed this post, you might like to read more about the Camino de Santiago. Or consider subscribing to receive stories in your inbox. You can also watch a video of our first day on the Camino.